July 2017 Newsletter - Fight back with #TeamInternet, and save the date for our 10 year celebration this October! The Federal Communications Commission, under it's new Trump-appointed chairman, has made a dangerous new proposal to end the hard-fought net neutrality protections that internet consumers, innovators, and creators fought for and won back in 2015. 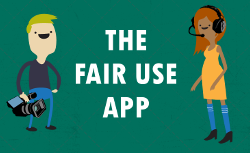 In 2015, New Media Rights' comments were heavily cited in the order implementing net neutrality rules at the FCC. We'll be submitting comments July 17 to the FCC arguing that we must keep regulations in place to save the internet as we know it. 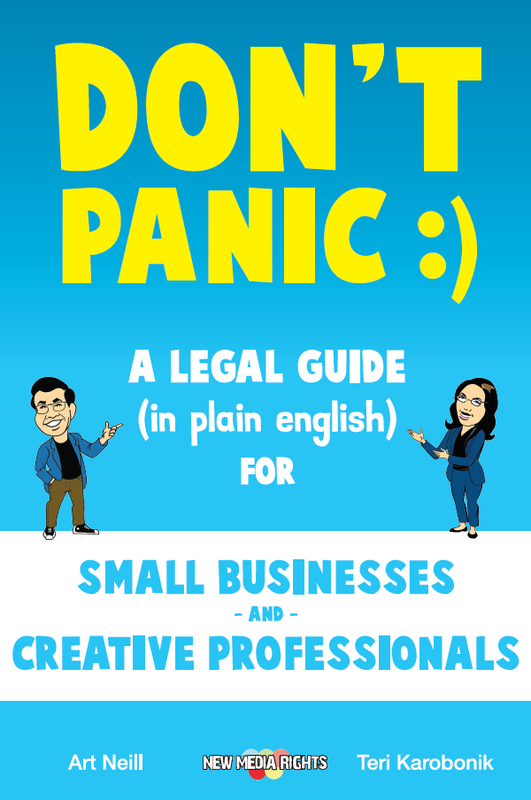 The second edition of our book Don't Panic is published! We also have an audiobook available as well! Help us celebrate by picking one up from Amazon or get $4 off at this link when you use the code "RSJ2R92F". If you find it useful please take the time to write us a review! The book has been adopted in over 10 college and graduate classes to teach legal concepts to creators. If you're a teacher or professor and want an evaluation copy and assistance incorporating the book into your teaching let us know by sending an email to education@newmediarights.org. Save the date, we're celebrating our 10 year anniversary in early October! We're celebrating our 10th anniversary this year. Whether you're a client, former student, or just love the work we do, come celebrate with us in early October! Right now it looks like our celebration will be Saturday, October 7 in San Diego, but keep an eye out for further details soon. If you have suggestions for the event, or want to update us with what you been up to, you can fill out our event survey here. Shaun Spalding has rejoined the New Media Rights team full time this July as our Assistant Director. Welcome back Shaun! Our Executive Director Art Neill recently spoke at national conferences of the American Intellectual Property Law Association and Investigative Reporters & Editors. We also have some recent client stories to share, including a math and science education virtual reality startup, and a couple of films (here and here) we've worked on. 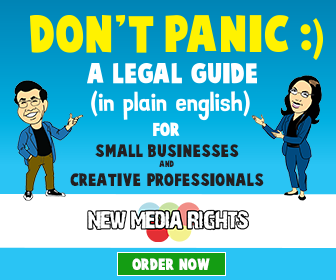 Please remember New Media Rights is an independently funded nonprofit program and we rely on individual donors to support our work. Without donations from individuals like you, these services simply won't exist. Become an NMR Supporter and ensure this service exists for years to come! This work by New Media Rights is licensed under a Creative Commons Attribution 4.0 International License.